Goddess pose, or Deviasana, is a pose of power and beauty. Standing wide legged, with feet about three feet apart, turn your toes out slightly. Bend deeply in your knees as you sit back, keeping a straight and natural spine as you sink down. Bring your arms to either side as cactus or goalpost arms. Find strength in your legs, stretch through your hips, and a power and pride through your upper body. 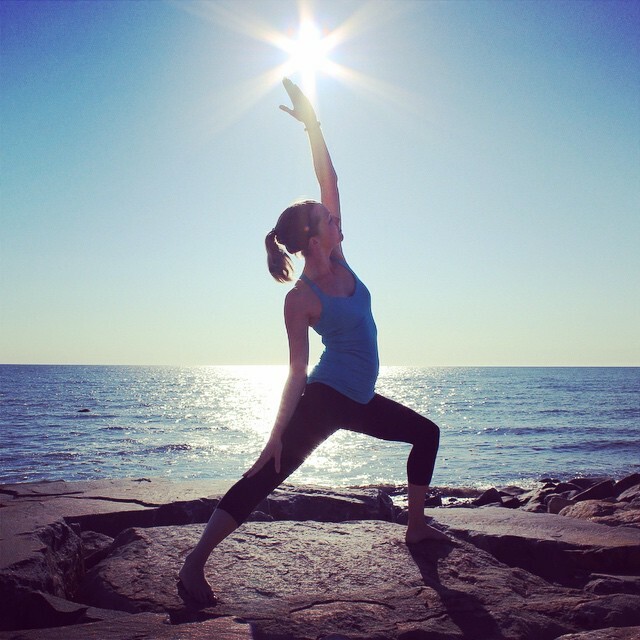 Warrior 3, or Virabhadrasana 3, is a pose of balance and length. Starting from Warrior 1, bring weight into your front foot, leaning forward and sending your back foot out behind you. Extend your arms forward, creating a straight and strong line from the tip of your back toe through the tips of our fingers. As with all Warrior poses, find a true sense of power in your body and mind.